Once upon a time there was…a little girl who dreamed of becoming an accomplished actress. Every day…She made up stories and songs and directed plays in her backyard. She even earned a scholarship to study theatre in college, so that she could follow her dream. One day…when she was a junior in college she was diagnosed with a severe bi-lateral hearing loss; it was progressive and she eventually became deaf. Because of that…she did not see how she could ever become an actress. She became very depressed because her deafness isolated her from everyone and everything. The world at large was not hearing accessible, and she and her family did not know what to do to make things better. Because of that…she began to look for help on the Internet and found “The Hearing Loss Association of America”; they taught her about assistive technology, communication strategies and self-advocacy skills so that she could begin to thrive in life instead of just survive. Until finally… Her life transformed after receiving a Cochlear Implant in 2012. With electronic hearing and hard work, she progressed from understanding 12% to 92% of speech. Since then she has written and performs Lost in Sound: A One Woman Play – to help people understand hearing loss, embrace inclusion and inspire a call to action for hearing health and accessibility. She intends to tour the world with her play, fulfilling her dream while, at the same time, helping thousands of people. 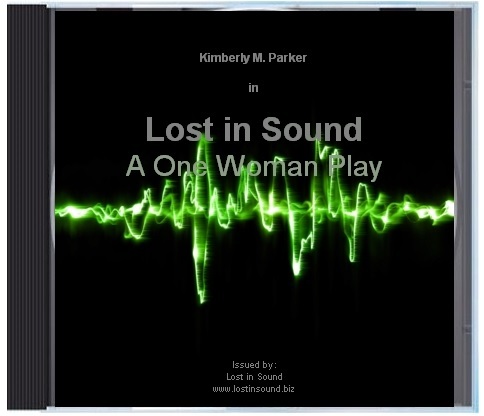 If you’ve seen it previously, this is the entirely new Lost in Sound: A One Woman Play. It is coming to the legendary Town Hall in Seattle on Friday, January 23, 2015! Don’t miss it. Her show will change the way you think about hearing loss forever. There will be CART accommodations at the show. Will it be captioned? My husband is deaf and depends upon captioning. The idea of this story is a great . We too have been connected to the Hearing Loss Association of America. We meet in North Seattle. Andrea, HLAA has agreed to sponsor a CART system for the performance. I hope that meets your needs. Nicely done, Sweet One. Hope it garners lots of interest.